Jellyfish from the National Aquarium in Baltimore, MD. I took my family to the Washington, DC area during Spring Break and one of the places we went was the National Aquarium in Baltimore. They had a wonderful jellyfish area, which afforded me the opportunity to capture the image above with my Fuji x100s camera; my “walking around” camera of choice these days. 1/750th sec. @ f/2.0, ISO 3200. It’s DARK in those tanks! 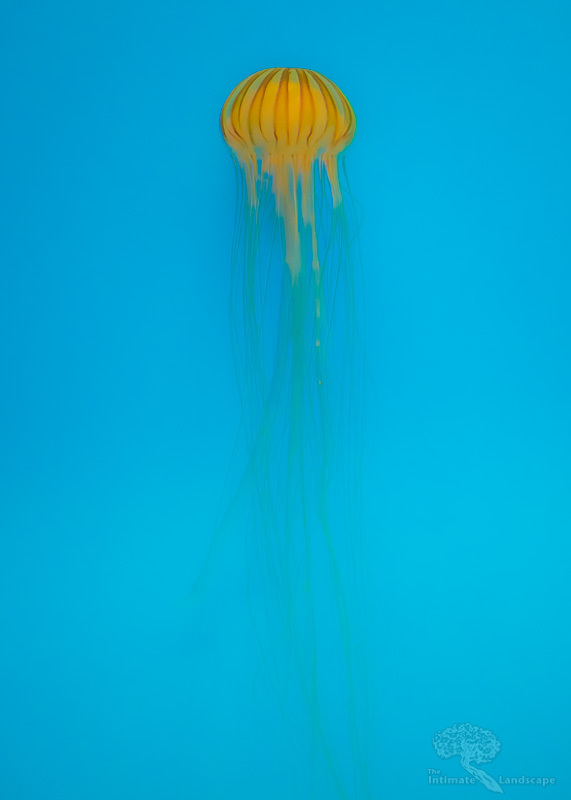 This entry was posted in Wildlife and tagged Baltimore, jellyfish, Maryland, National Aquarium.